Christians around the world suffered a huge increase in persecution last year – with around 30 million more people being targeted than in the previous year. While India has also seen a spate of against ultra-nationalists against non-Hindu minorities – the report claimed. ‘Rising nationalism is leading to similar persecution in other countries such as Bhutan, Myanmar and Nepal where national identity is tied to religion,’ the charity said. 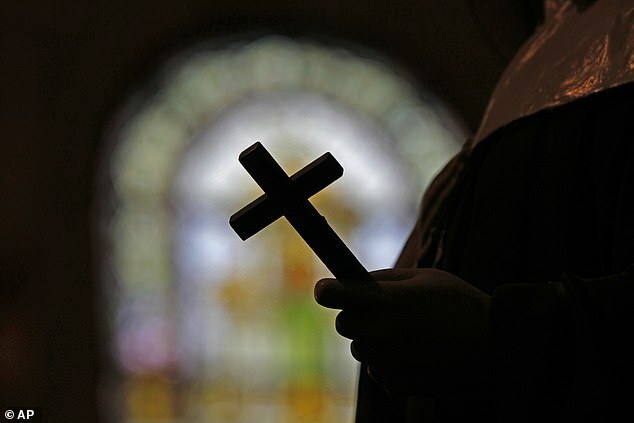 Open Doors said in its 2019 World Watch List, which ranks 50 countries, that one in three Christians face high levels of persecution in Asia – as India entered the top 10 for the first time. 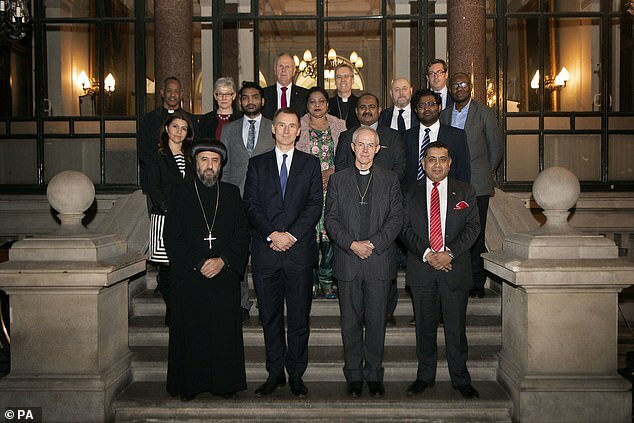 Hunt said: ‘Britain has long championed international religious freedom, and the prime minister underlined our global leadership on this issue when she appointed my excellent colleague Lord Ahmad as her special envoy on freedom of religion or belief. ‘So often the persecution of Christians is a telling early warning sign of the persecution of every minority’.